Monday, November 24, 2014 – I remember the date well. It was that day, the week of Thanksgiving, that I was suspended for 30 days without pay for writing a Christian men’s Bible study. The 162-page book, Who Told You That You Were Naked? : Overcoming the Stronghold of Condemnation, contained a handful of pages describing biblical marriage and sexuality. But that was a few pages too many for the City of Atlanta, where I served as Fire Chief. During the suspension, an investigation ensued to determine if I had discriminated against anyone based upon my views. Though I was cleared of discrimination, I was still terminated from employment on January 6, 2015 – after 34 years of faithful service in the fire and emergency services industry. In the days that followed my termination, I realized that God had been preparing me for this fiery trial my entire life. He does not allow major sufferings like this to occur in our lives unless He has determined we can handle them (Job 1:8). Though the last four years have been challenging, God has been faithful. I have seen a side of God that I have never seen before. He is a very present help in our times of trouble. 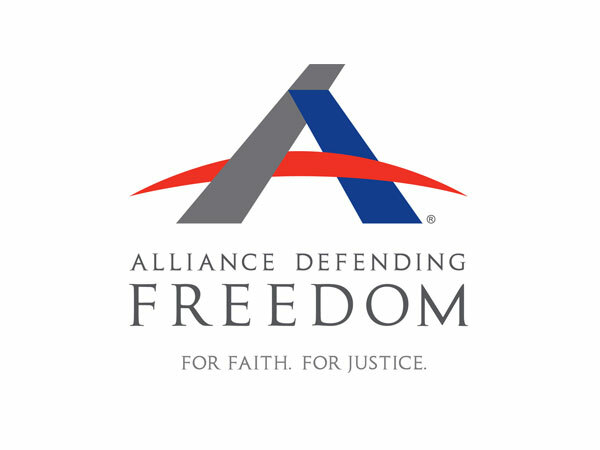 Through the support of Alliance Defending Freedom, their Ambassadors and Ministry Friends, the support of my pastor and church family at Elizabeth Baptist Church, and the love and support of my wife and children, God has shown Himself strong on my behalf, just as He promised. In December 2017, a federal district court judge ruled in my favor. The policy the City of Atlanta used to justify my termination was ruled unconstitutional, and therefore my termination was also unconstitutional. And just this week, the City of Atlanta agreed to pay $1.2 million in damages. This ruling clarifies what I have believed my entire life: In the United States of America we do not have to get permission from the government to write a book expressing our beliefs and faith. Permission is already granted by the First Amendment. As a result, government employees should not have to experience adverse consequences for the public expression of their faith as I did. Sadly, I am not the only American experiencing persecution for the public expression of their faith. The number of instances continues to increase. We experience the consequences when we choose to follow Christ, even in the United States. But as Christians we must have more faith in the kingdom consequences of living out our faith than fear of the worldly consequences. By the grace of God, I have emerged from the lion’s den victorious! However, the journey is just beginning. I will continue to be an advocate for religious liberty. I will continue to seek opportunities to encourage believers and to share my testimony. Our back is not against the wall, we are not at the end of our rope, and throwing in the towel is not an option for a child of God. To God be the glory!